This silver heat transfer reflective tape is flame resistant. 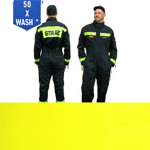 It is made for High Visibility of people working at the risk of fire. 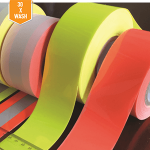 Certified to EN469 and EN20471, XM-6015 FR-tape resists 50 wash cycles at 60°C. 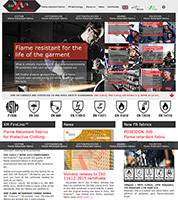 You can use it for fr-clothing, where stitching of reflective tape is not an option. 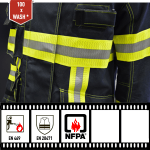 You don’t need to have professional equipment to apply this reflective tape on your work clothes. All you need is an iron and a flat surface. 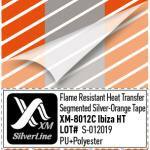 To correctly apply XM-6015 reflective tape to fr-clothing, please read these instructions and follow them step by step. 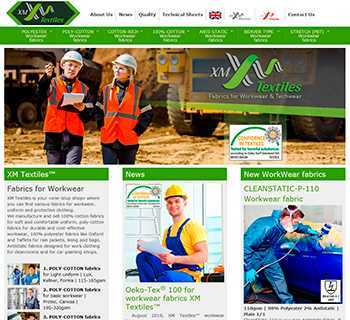 XM-6015 can be applied to different fabrics, however on woven fabrics the tape is fixed more strongly than on the knit fabric. Prepare a piece of reflective tape XM-6015 the desired length, an iron (hot press) and a hard flat surface to place clothing or fabric on. Set the heating temperature of iron at about 120°C. 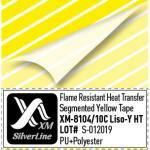 Place the tape XM-6015 by adhesive side down to the fabric. Put the iron on the tape and move it along the the tape pressing firmly. 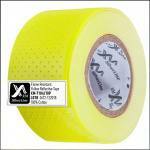 You need 15-20 seconds to let the tape be attached to the fabric. Wait for 10-15 seconds to let it cool down. Then carefully peel off the transparent film from the applied reflective tape. 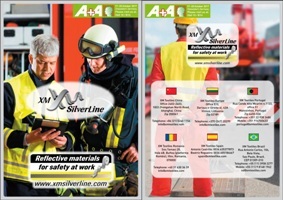 Cover attached reflective tape with a piece of cloth or paper. Iron it for another 2-3 seconds. Remove carefully the piece of cloth or paper. 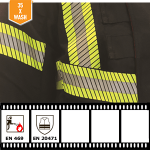 Here you are, reflective tape XM-6015 has been applied to your fr clothing. 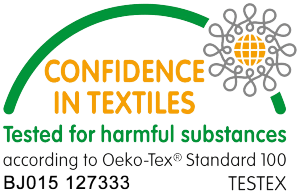 This allows you to be more visible and safe. 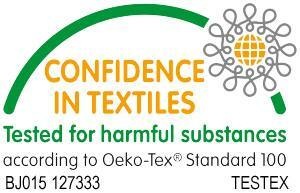 It is also look great and felt more comfortable on the garment, than sew-on tape. You also can download instructions for heat transfer reflective tape XM-6015 here. 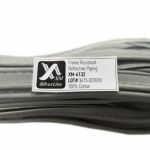 More information about XMSilverLine XM-6015 you can find on the product page.